ALL TOUR TICKETS ON-SALE NOW! Legendary Swedish melodic heavyweights IN FLAMES are thrilled to announce their thirteenth studio album titled I, The Mask that will be released on March 1, 2019 via Nuclear Blast(worldwide, excl. North America) and Eleven Seven Music (North America). Pre-orders for I ,The Mask will begin January 11 offering “I Am Above” and “(This Is Our) House” as instant downloads. The 12-track album reunites them with multi-GRAMMY nominated producer Howard Benson (My Chemical Romance, Motörhead) who also produced 2016’s Battles. Additionally, the album is mixed by GRAMMY winning mixer, Chris Lord-Alge (Cheap Trick, Linkin Park) and mastered by GRAMMY winning mastering engineer, Ted Jensen (Pantera, Eagles, Guns N’ Roses). The album artwork is created by artist Blake Armstrong, and it depicts a unique interpretation of the band’s mascot, The Jesterhead. The story of the cover will be revealed via the full album artwork on March 1st, which coincides with each song on the album. 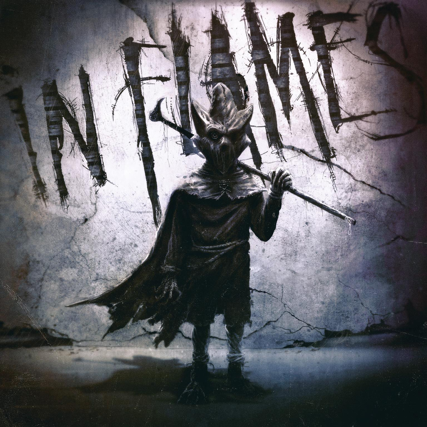 IN FLAMES are also proud to debut two killer tracks from I, The Mask– the superlative anthems “I Am Above” (stream here) and “(This Is Our) House” (stream here) A poignant video for “I Am Above” has also been revealed, which features famous Swedish actor, Martin Wallström (from the USA Network, Mr. Robot). 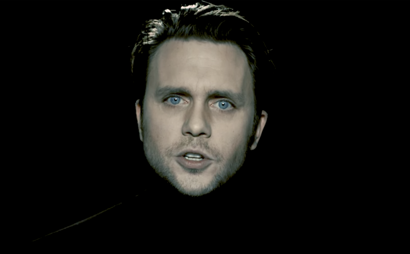 The video takes place in a pitch black room with Martin who eerily lip syncs the metal ballad with expressive facial gestures that capture the song’s emotion. Meanwhile, the lyric video for track “(This Is Our) House” features unseen footage from the band’s first annualSwedish festival, BORGHOLM BRINNER (Borgholm Is Burning). 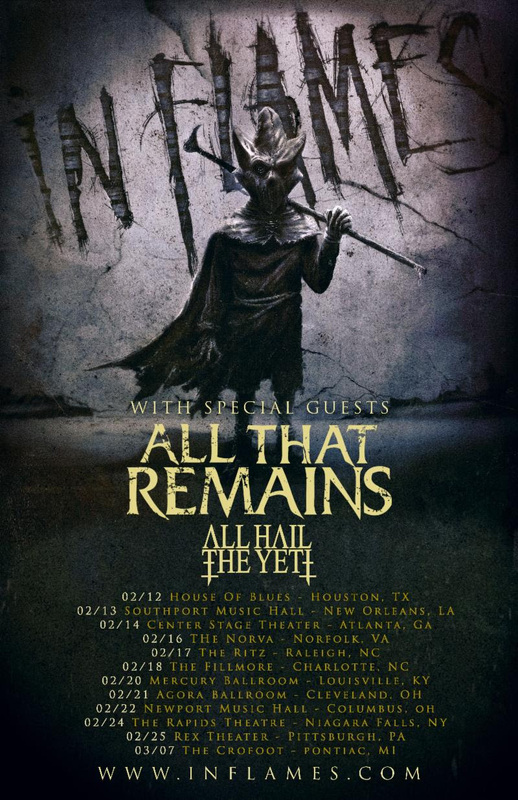 IN FLAMES will be headlining their North America tour with All That Remains starting February 12 in Houston and concluding on Feb 25 in Pittsburgh, with one-off show on March 7 in Pontiac.The North America headlining tour will continue in March with Within Temptation hitting major market cities and dates in Canada. See full dates below. 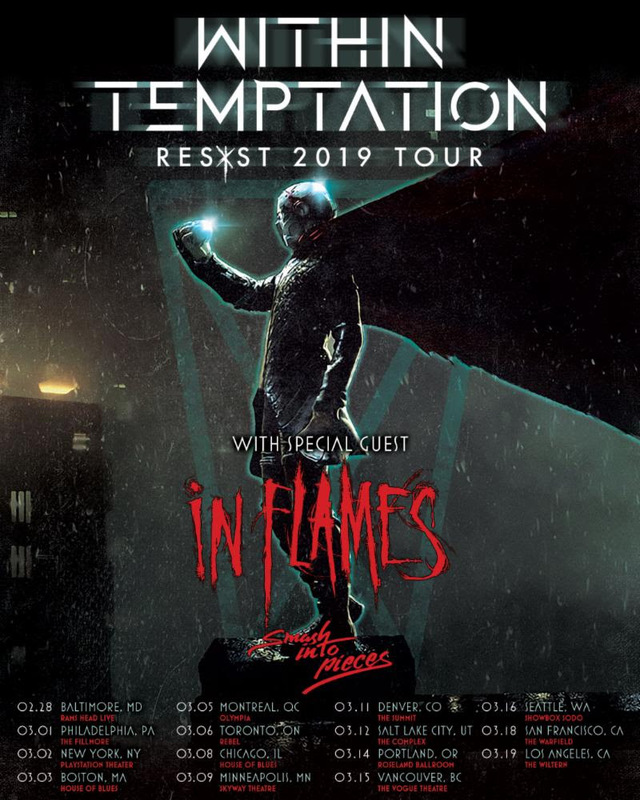 Additionally, IN FLAMES will embark on their UK + Europe headline tour that kicks off on April 3 in Glasgow concluding on April 18 in Zurich. Special guests to be announced soon. 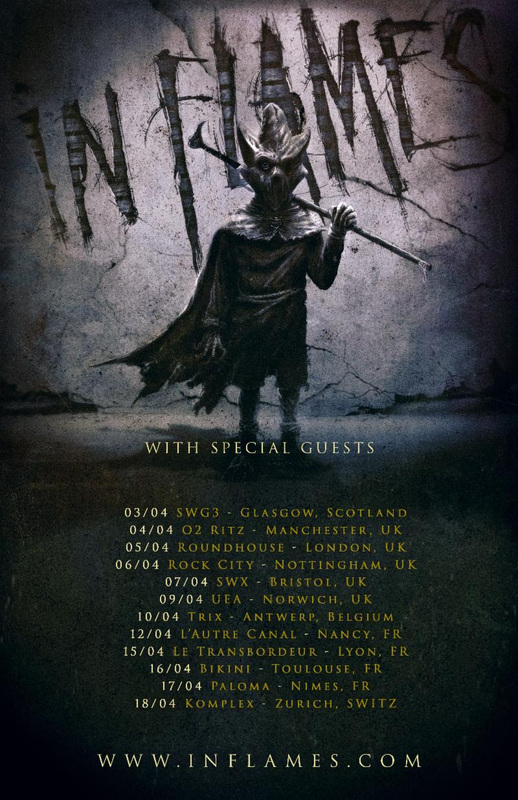 Tickets for the US, UK and Europe can be found by visiting www.inflames.com/tour and VIP packages and upgrades can be purchased here: https://bit.ly/2EtnVoe. 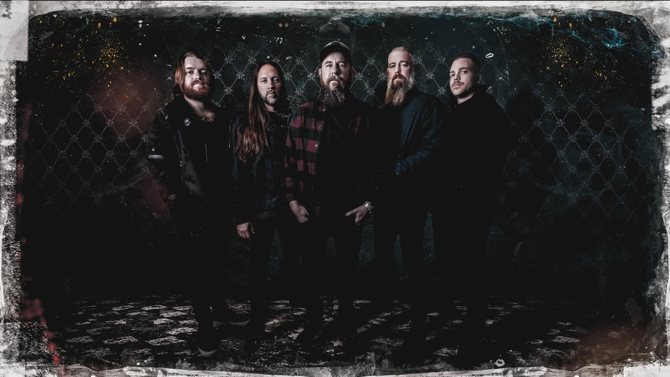 I, The Mask will undoubtedly showcase why IN FLAMES are one of the biggest bands in the world – never shying away from pushing their artistic boundaries, crafting music that’s as catchy as it is crushing. Formed in 1990, the band are considered one of the forefathers of melodic death metal and the purveyors of the ‘Gothenburg sound’. With twelve studio albums under their belt, countless successful tours around the globe playing with the likes of Metallica, Iron Maiden,Megadeth and Deep Purple with millions of records sold and a massive fanbase worldwide, In Flames have proven to be an unstoppable force. From their 1994 debut ‘Lunar Strain’ onwards, the band’s intricate twin guitar attack, melodic vocals and superb arrangements have given them a signature sound that has evolved throughout the years.